[The timeliness of this piece is a bit off. You may notice subjects that have since been discontinued by the games developer, and don't coincide with me speaking in present tense. I have been so enamored in work, that this article had to arrive a bit on the late side]. A few months ago, a friend and I decided to return to Sea of Thieves(2018) once again. Aside from the games overwhelmingly glaring flaw that it lacks variety in the "things to do" department, I still find enjoyment in sailing the seas and exploring the lackluster islands. It's a nice break from the array of shooters and RPGS I find myself sinking numerous hours into. 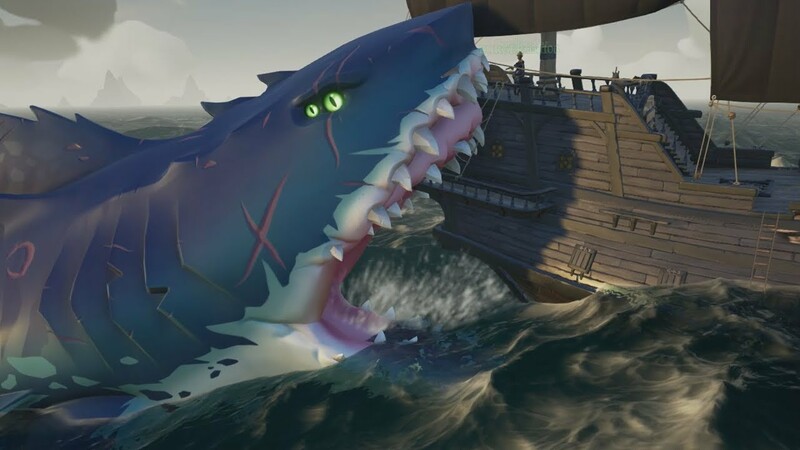 With the games inclusion of The Hungering Deep DLC back in May, players are given the opportunity to go head-to-head with a new massively size megalodon shark which hones in on any nearby ship, chomping away at the exterior with large bites. Upon our encounter with the megalodon, my friend and I coordinated a series of cannonball firing and repairs. I was tasked with keeping the ship from sinking, while he focused on reigning in on our newly acquired shark acquaintance. The fight went smoothly until my friend got knocked into the water. While swimming back to the ship he repeatedly informed me how terrified he was to be sharing the same bit of water with this oversized monstrosity swimming beneath him. Whereas, on the ship no such stress was had. But, why was this? Sure, in the water you're not equipped with the same powerful weaponry the ship provides, but the segment of the shark sinking its teeth into our ship didn't elicit the same terror he felt while swimming amongst it. The reason: vulnerability. Super Mario 64(1996) provides a similar feeling with one of the games earlier stages Jolly Roger Bay. This level features an underwater layout where the player must traverse sunken pirate ships, caverns and hidden caves. The overlay is brightened up with colorful shades, not a darker tone better suited for something more spooky. The peaceful atmosphere is soon diminished once the player makes their way to the deepest part of the water where the levels infamous Unagi eel lurks nearby. 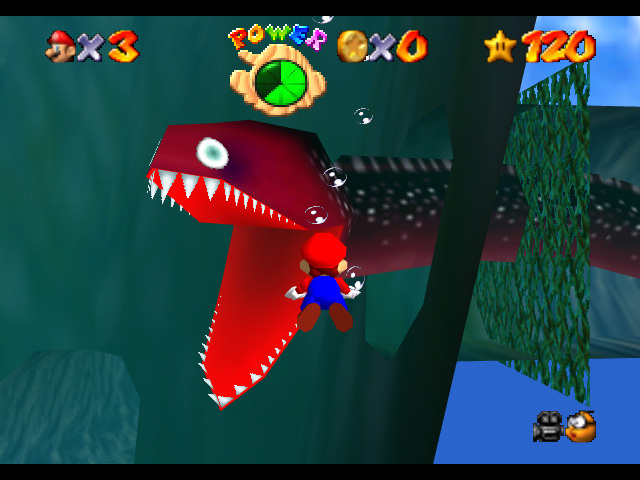 The eel slithers its way into the open when provoked, chipping away at Mario's health if any contact is made. This stage was quite the talk of my elementary school. Some of my fellow gaming peers at the time shared their feelings with how they skipped it entirely to avoid any eel confrontation. A colossal size Chain Chomp on Bomb Bob-omb Battelfield just wasn't as fear inducing of an enemy as the oversized water snake. One could easily bypass a Chain Chomp altogether, as its delayed lunge provides more than enough time to make a quick getaway. But, just like swimming back to the ship in Sea of Thieves, traversing any body of water in the Mario universe wasn't as quick as on land, leaving more opportunity for any water type enemies to come into harms way. Neither of these games aim to strike fear in the player. Each enemy is designed to illustrate that it poses a threat, but was never meant to elicit the scary ambience more suitable for a horror game. To help further exemplify this notion, even Jolly Roger Bay featured one of the most soothing melodies on Super Mario 64's soundtrack, thus instilling a creepy sensation wasn't the intention of its design. Throughout gaming history water levels have come under heavy fire as beacons of uncomfortable game design. Sure, water levels mix up the formula and can provide a new variety of gameplay, but hindering the normal movement speed which the player has already grown accustomed to just makes for a more frustrating experience. There are some hidden gems in the bunch which mechanics allow for the player to transition smoother. 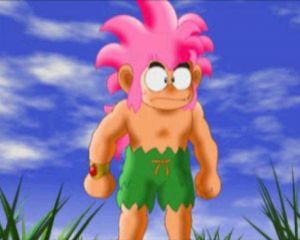 However, these are so few and far between from the plethora of other games that got it wrong. Some of the most infamous water levels come from classic games such as the Legend of Zelda: The Ocarina of Time(1998) and Sonic The Hedgehog(1991). When Sonic, a character known for speed suddenly has reduced mobility, the flow of what the player has grown accustomed to is interrupted. This also applies to Link's inability to traverse underwater with ease. What didn't work for Hydrocity Zone or the Water Temple would fit perfectly in the survival horror genre. A player may find their movement impeded underwater, and when faced with an actual adversary meant to strike fear, the inability to escape quicker helps amplify the horror factor. In order to intensify the suspense, horror games can utilize a plethora of approaches in order to fixate a scary scenario. Well known horror games like Silent Hill 2(2001) and Resident Evil(1996) rely on fixated camera angles or clunky combat to make dealing with enemies more difficult. Whereas in games like Amnesia: The Dark Descent(2010) and Outlast(2013), combat is done away with entirely, forcing the player to avoid enemy confrontation at all cost. This renders the player defenseless, to where enemy encounters can't be solved with powerful weaponry. Water can help compliment this design, as mobility isn't as attainable when walking amongst the ocean floor. Obscuring the players vision can also serve as another crucial component when putting players into a defensive position. What lurks in the shadows paints a mystery in the players head, to where their imagination is doing all the work. 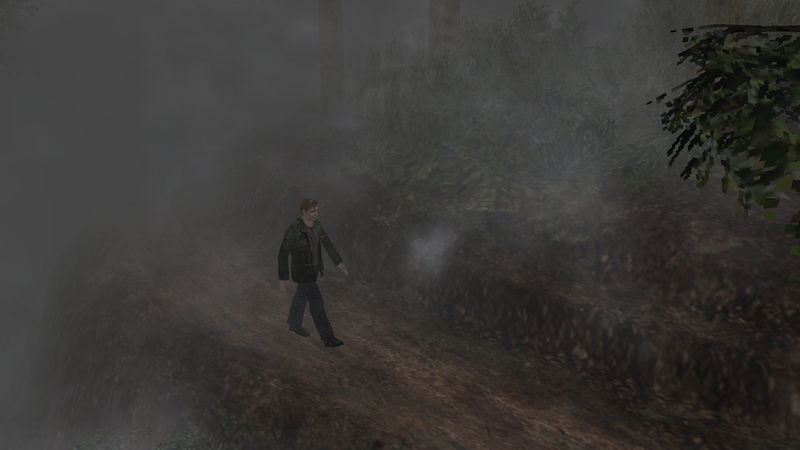 The town of Silent Hill is covered in fog, whereas enemies in Fatal Frame(2002) can only be detected through an in game camera. In Amnesia, the player must rely on a lantern to help guide their way through the environment, which also can result in attracting nearby monsters. These situations can result in making it harder to pinpoint dangerous scenarios forcing the player to tread lightly. Now put yourself in the same position where sound-waves aren't as easily generated, and your surroundings are harder to make clear of. And finally, the driving force that helps mesh all these ingredients together for the perfect survival horror concoction comes from "the unknown". According to professor Colin Camerer of the California Institute of Technology, "Psychologists would say ambiguity is the discomfort from knowing there is something you don't know that you wish you did", Camerer said. Being unaware of what potential horrors may be waiting underneath that staircase or behind that door further intensifies the sense of dread. Indeed, Silent Hill and Amnesia excel in this department, where the opening of both games give large areas to explore, before introducing the first enemy. Take the same set of elements in what draws ire from a water level, and swap out the setting with something more spooky. Put it towards an environment that is dimly lit, below sea level and surrounded by creatures who come at you from every angle, and you have the perfect set of ingredients for a compelling horror game. My ideal water-like horror game would be where the player is tasked with finding Cthulu resting beneath a sunken city filled with dark chasms and ancient ruins, which are only explorable by swimming. Imagine a scenario where you're submerged 12,000 feet below sea level, with no easy ability to simply flee, and everything that poses a threat can easily out maneuver you. 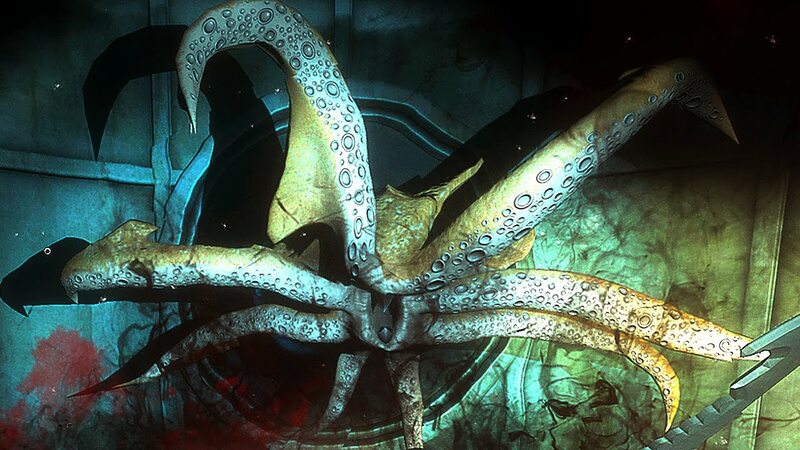 To the best of my research the only game in recent years that utilizes a similar approach is Narcosis(2017); a game set at the bottom of the Pacific Ocean, to where the protagonist is tasked with resurfacing before their level of oxygen or sanity is depleted. I still haven't tried Narcosis, but it does sit at the top of my list of games I need to get to. The game has an average Metascore of 70, with only 3 professional reviews to its name, while the Steam community was more receptive to it by the majority of its user reviews sit in the positive category. Even though I haven't experienced the game hands on, I do feel Narcosis is a step in the right direction based on the many lets plays and video reviews I enjoyed watching over the past few weeks. As gamers, we've seen a vast array of horror games featured in abandoned mental asylums, spooky looking cathedrals and desolate towns, so why not try for an approach featured within the vastness of what scientists haven't even discovered half of? What lurks within the darkness doesn't always need to be a monster or deranged axe-wielding murderer. It's time for us to get off of land and explore what scientists have yet to discover 5 percent of.